How to Transfer Old iPhone to New iPhone Xs/Xs Max/Xr? What a front-runner fan of new iPhone 2018! Now that you've got dazzling device in hand, it's time to set up your new iPhone Xs/Xs Max/Xr before you start to transfer from old iPhone to new iPhone. This page offers 3 methods to help transfer everything from old to new iPhone: You can either transfer data from old iphone to new iphone using iCloud wirelessly, using iTunes traditionally, or simply using DearMob iPhone Manager's 1-click backup function to help you transfer everything from old iPhone to new iPhone. DearMob iPhone Manager is such a tool that can help transfer data from old iPhone to new iPhone Xs/Xs Max/XR without any loss. 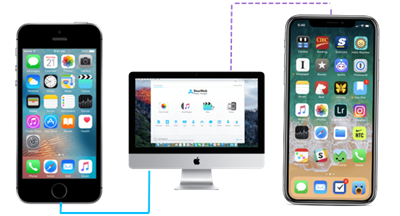 You are allowed to full backup old iPhone and restore to new iPhone in one click, or just choose specific iPhone photos, music, videos, contacts, etc to sync to your iPhone handset with ease of mind. If this is not you first iPhone model, chances are that you've tried to migrate data from old iPhone to new iPhone once – Did you managed to transfer old iPhone to new iPhone without data loss for the last time? The answer could be negative for most users opting for iCloud or iTunes to backup and restore iPhone as their only method to transfer iPhone data, especially those who stay with the 5GB primary plan only. However, DearMob's iPhone Manager proposes a one-stop solution irrespective of iPhone data size. Take a look at how you can transfer old iPhone to new iPhone free. 1. How to transfer Photos from Old iPhone to New iPhone? As one of the best iPhone backup software 2019, DearMob's iPhone Manager adopts an iTunes-like method to transfer data from old iPhone to new iPhone – yet 10x faster than iTunes in data transfer and works 100% independentlt from iTunes, by first transferring data from iPhone to computer, users may then backward transfer data to iPhone. First take a look at how to transfer old iPhone to new iPhone with the help of computer/Mac. 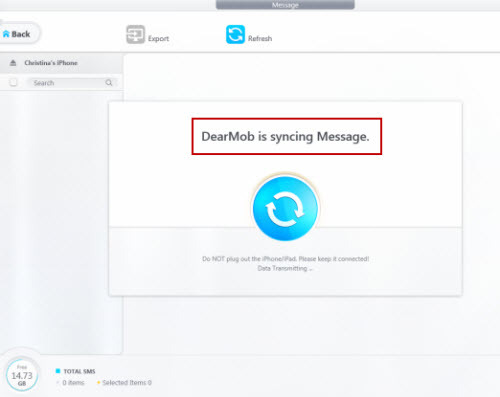 Step 1: Download DearMob iPhone Manager, install and launch it. Step 2: USB-connect iPhone to computer, if this is your first time connecting iPhone to computer, unlock iPhone with your passcode & tap "Trust this computer". Step 3: When you see the name of your iPhone shown on the interface of DearMob software, click on "Backup", and then "Backup Now" to transfer content on the old iPhone to computer/Mac in a data folder. Step 4: Wait until the backup process finishes for your iPhone, and then disconnect iPhone from computer to plug into it a new iPhone instead. 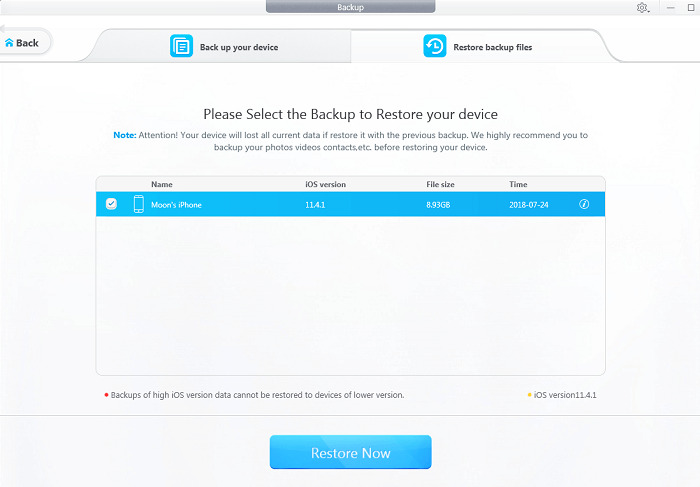 Step 5: Click on "BackUp" again, and then choose "restore from backup" instead, which will take you to the window showing older versions of iPhone backup, check the version of backup data that you want to restore to the new iPhone, and click on "OK" to start restoring from iPhone data. Click on "Setting Password" to encrypt a backup data for iPhone if you wish to include account code, Health data and HomeKit data for iPhone. 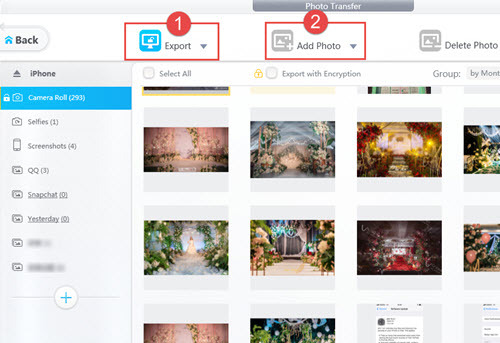 ★ How to Transfer Photos from Old iPhone to New iPhone? Step 1: Connect the old iPhone to computer/Mac installed with DearMob iPhone Manager, click on "Photo Transfer" to get a complete backup of iPhone photos on your computer. Tips and Notes: Starting from iPhone X iOS 11, the smartphone take HEIC photos by default, which won't directly open on Windows 10 and Mac OS Sierra or earliers. The case that pictrues exported won't open temporarily doesn't mean that you failed in the first step to transfer photos old iPhone to new iPhone, rest assured with DearMob iPhone Manager to transfer HEIC photos from old iPhone to new iPhone. Step 2: Re-connect the new model of iPhone Xs/Xs Max/Xr to DearMob iPhone Manager, also visit the "Photo Transfer" tab, but this time you need to click on "Import" to completed the 2nd step to transfer photos from old iPhone to new iPhone. Step 1: Connect the old iPhone to computer/Mac installed with DearMob iPhone Manager, click on "Music Manager" > "Export" to completely transfer music from old iPhone to new iPhone. Tips and Notes: Aside from music transfer from iPhone to iPhone, you may want to DIY a new iPhone ringtone for the new iPhone, that been said, staying with DearMob iPhone Manager can help you do that directly. Step 2: When the new iPhone is set up, USB-connect it to DearMob iPhone Manager to finish the music transfer from old iPhone to new iPhone. This time you can also click on "Music Manager" and then "Import" to add songs to iPhone. 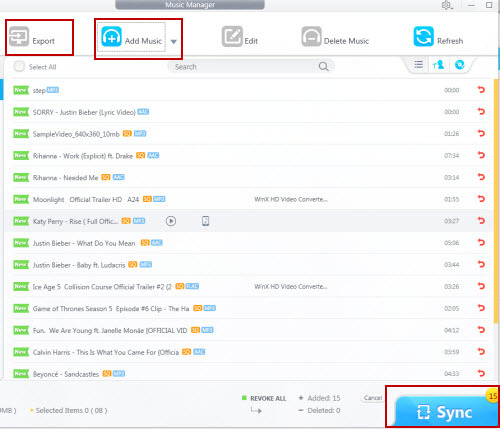 Don't forget to click on "Sync" to apply your music transfer to new iPhone. ★ How to Transfer APPs to New iPhone? This iPhone transfer software provides APP install & uninstall service instead of transferring APPs to new iPhone, which could help you transfer APPs downloaded outside the Apple's App store as long as you have the *ipa installation files. Here's the detailed guide on how to transfer APPs from old iPhone to new iPhone. Step 1: The first step that you do to transfer text messages from old iPhone to new iPhone is to use this iPhone backup software to wrap up all iPhone data including text messages into one folder on computer or Mac. Step 2: Connect iPhone to computer > Click on "SMS" to save text messages from iPhone to computer > wait for the SMS backup to finish. Step 3: Connect the new iPhone Xs/Xs Max/Xr to computer to transfer data: Also click on BackUp > Restore from Backup so as to restore all iPhone data including transferring text messages from old iPhone to new iPhone. Step 1: Launch the best tool to transfer old iPhone to new iPhone (iPhone Xs/Xs Max/Xr) before connecting the old iPhone to it. 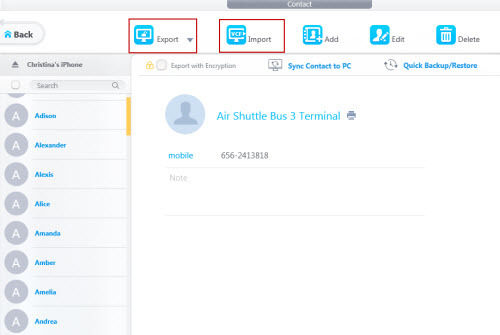 Step 2: Click on "Contact" on the bottom-right corner of this software, this tool can help transfer contacts from old iPhone to new iPhone by clicking "Export", thus exporting all contacts data in VCF, PDF, TXT and HTML, or you may choose to click "Sync contact to PC" to save the contact info to computer's address book. Step 3: Connect the new iPhone (iOS 12 or earlier) to computer, visit "Contacts" again so as to import contact info in VCF to iPhone. Amongst the top 5 ways to transfer old iPhone to new iPhone 2019, DearMob iPhone Manager is probably the most easy-to-use one to both transfer everything from old iPhone to new iPhone, or partically transfer old iPhone to new iPhone. Time to play with everything you've been familiar with in a new manner with new iPhone, and you'll just need DearMob iPhone Mananger, now click to download it for free below!